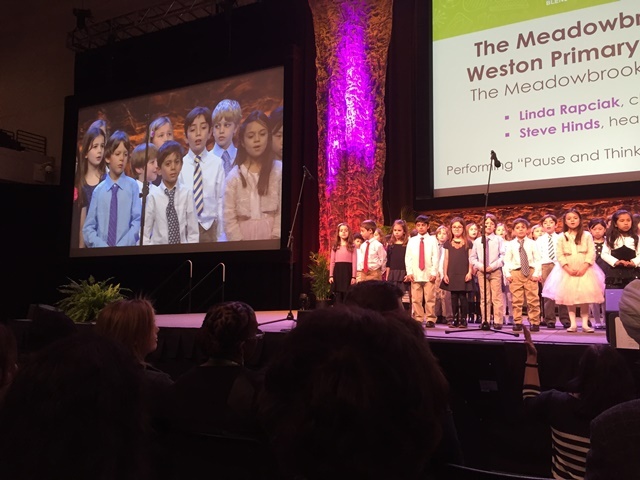 #naisac 2015 Admin Unplugged: Choice is a good thing! When noon came on Thursday, it didn’t take long to get over the fact that our Admin Unplugged session was in the immense Grand Ballroom B. Participants trickled in and began to write session topics (or vote for others) on the easels at the entrance. After about 10 minutes, Liz facilitated an icebreaker so participates could meet and introduce themselves to three different people. While that was happening, Justine and I were tallying the votes and setting up the 5 different discussion tables.